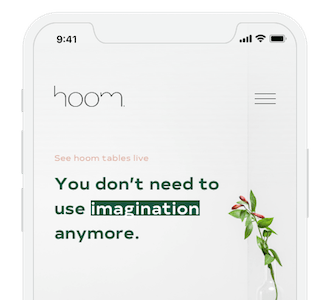 These regulations, hereinafter referred to as the “Regulations”, define the rules for using the online store located at the URL www.hoom.co, hereinafter referred to as the “Store”. Each person should read the Regulations before using the store. Making purchases in the Store requires the Customer to have an active and functional e-mail account. Through the Store, there is a distance selling via the Internet a sort segment in the field of interior design, furniture. Offered items are new and all are made by hand on an individual order. e) store customer’s personal data in the client database. With additional consent provided by the Customer, the collected personal data may also be used for promotional and marketing purposes, including in particular to present the shop’s commercial offer and other marketing information related to the Store. If you subscribe to the newsletter and agree to receive it in the registration or ordering process (consent to receive commercial information by electronic means), it is only necessary to provide an e-mail address to which commercial information from the Administrator will be sent. The Customer may unsubscribe from such information at any time by logging into his account in the Store or by clicking on the unsubscribe link in the footer of each newsletter. The Administrator informs that the Customer is not obliged to provide his personal data, however, refusal to provide them will prevent the correct performance of services provided in the Regulations and benefits resulting from the contract concluded between the Store and the Customer. The collected data is subject to careful protection in accordance with applicable regulations. The administrator makes every effort to ensure that the stored data provide the right degree of security. The store informs customers that the services offered via the Store are provided via the public Internet network. In relation to the above, the Shop draws the attention of customers that the use of the Store’s services may involve the risk of third parties’ interference in the transmission of data sent via the Internet between the Store and the Customer. a) The consolidation, security, and access to the content of the concluded contract are made by sending an appropriate e-mail after the conclusion of the Sale Agreement. b) Consolidation, security, and access to the content of the Sales Agreement concluded by sending to the provided e-mail address the contents of the concluded contract or by providing the Customer with the Specification of the Order and proof of purchase. Service providers and made available at any customer’s request. The store is not obliged to provide the above devices and/or software. The installation of the software referred to in paragraphs 1 and 2 is subject to a separate license agreement between the Customer and the licensor. The information provided on the Store’s website, including information on the presented products, and in particular their descriptions, technical and performance parameters and prices, constitute an invitation to enter into a contract, within the meaning of art. 71 of the Civil Code. the total price of the ordered products including taxes, as well as the payment for transport, delivery or postal services and summarizing the total amount of the order with the selected delivery option, information on the method and date of payment and the method and date of fulfillment by the entrepreneur. The customer places the order after reading the information set out in the Shop Regulations and the information indicated in paragraph 2, which will be displayed in electronic form in the last stage of filling in the electronic form preceding the expression of the will to bind the contract by clicking the “Confirm order” button or when placing the order by phone or e-mail by confirming the order in the sent message. All prices quoted on the Store’s websites are in Polish zlotys and include VAT. The price displayed in the basket summary before placing the order includes shipping costs in accordance with the option selected by the customer. The store commits to delivering items free of defects. The order is deemed accepted for execution after the Store confirms the order placed by the Customer. b) The Store may suspend the acceptance of the order if there is any doubt as to the veracity or reliability of the data provided by the Customer in the registration form. In this case, the Store will immediately contact the Customer to clarify these doubts. c) In the case of unavailability of some of the products covered by the order, the Customer is immediately informed. The customer decides whether the order is to be partially or completely canceled. The Customer and the Shop are bound by the price of the Product in force at the time of placing an order. The deadline for payment is 3 days from the bottom of receipt of the order confirmation by the store. The contract is considered to have been made at the moment of payment by the Customer, after receiving confirmation of the order for execution. Shipments are sent via courier DPD / DHL / K-EX / SUUS. Shipping costs are set individually or are visible after adding the product to the basket. The cost of international shipments is determined individually with the client – depending on the destination place of delivery. The customer will be notified about sending the goods by e-mail. When choosing a courier parcel, the customer will receive a parcel number by e-mail. The shipment can be located at the following address sent by email or telephone by the Seller. If the goods are to be sent by the Shop to the Customer who is a consumer, the risk of accidental loss or damage to the item (good) passes to the customer when it is delivered to the customer. For the issue of a good (commodity), it is considered that the Store will entrust it to the carrier if the Store did not influence the selection of the carrier by the buyer. Along with the product, the Store sends an information form (instruction on withdrawal from the contract) and a form about withdrawal from the contract (not applicable to products made to individual order) – forms are attached as Appendix 1 and 2 to these Regulations. Anyone who registers and/or makes an order, the Customer agrees to receive information related to the course of the transaction, notifications of changes to these Regulations to the email address provided by him. Other information regarding the operation of the Website, as well as providing commercial information about new products or services of the Website, promotions of the Website and promoting the products of the Administrator’s partners will be sent only to those Customers who have consented to it. 1. Within the scope of the complaint, the Customer is a Consumer may exercise the rights granted by the provisions of the Civil Code of April 23, 1964 (Journal of Laws No. 16, item 93, as amended) and the Act of 30 May 2014 on the rights consumer (Journal of Laws of 2014, item 827, dated June 24, 2014). d) has been delivered to the Client incomplete. Complaints about ordered goods can be submitted by e-mail to the address [email protected] or by registered mail to the address ul. Wrzesińska 152 62-200 Gniezno. When making a complaint, please provide the following data: name and surname of the Customer, address, data allowing identification of sales (eg login, order number, date of transaction), subject and reason for complaint, contact details. Determining the manner of fulfilling the obligations of the Shop in the scope of reported complaints regarding physical or legal defects, the customer who is a consumer has the right to submit a statement of price reduction or withdrawal from the contract, unless the Store immediately and without excessive inconvenience for the customer will replace the defective item free from defects or defect will be removed. This limitation does not apply if the item has already been replaced or repaired by the seller (Store) or the Store did not satisfy the obligation to replace the item for free from defects or remove the defect. If the Customer is a Consumer, instead of the defect proposed by the Store, request replacement of the item for free from defects, or instead of replacing things, demand removal of the defect, unless bringing things to compliance with the contract in a manner chosen by the customer is impossible or would require excessive costs compared to the way proposed by the store. When assessing the excess of costs, the value of the item free of defects is taken into account, the type and significance of the defect found, and the inconvenience to which the customer would otherwise expose himself/herself is taken into account. The customer can not withdraw from the contract if the defect is irrelevant. The color discoloration, knots, cracks and cavities present in the product are the intended purpose of the Designer, they show the natural origin of the wood and are not subject to complain. Complaints submitted by the Customer will be considered within 14 days from the date of their submission. No statement on this date is considered as an acknowledgment of claims made by the Customer. The customer will be notified about the settlement of the complaint, the same way as the complaint was sent unless the customer reserves a different form of contact. The settlement of the complaint will be additionally sent electronically to the e-mail address indicated by the Customer. In the event of a positive settlement of the complaint, the Store sends to the Customer Goods free of defects or with a defect removed in a reasonable time. If repair or replacement of a given product is not possible for the reasons specified in paragraph 5 and 6, Store in accordance with the alternative request submitted by the Customer – it will lower the price or return the equivalent of the product price, plus shipping costs. 2. The quality guarantee is granted for a period of 24 months, which is counted from the date of purchase of the Goods. 3. The Customer is obliged to accept and then open and check the Goods accepted from the Supplier in the presence of the Supplier’s employee. In the case of damage found in transport, the Customer writes down with the employee of the Supplier a damage report, which is then forwarded to the Seller. 4. The condition for lodging a complaint about the damage in transit is sending along with the complaint written down only at the time of receipt of the Goods damage report.